Attendees making their way toward the exits at Ultra Music Festival last night were met with a tree that had caught on fire. Security was ushering attendees away from the area, which was already congested due to issues with the shuttles, as the fire department rushed to quell the flames. Reports are that embers from a firework caused the fire, but it has not been confirmed. Regardless, Miami Commissioner Ken Russell has said that Ultra will not use fireworks for the remainder of the weekend. “The fire itself seemed to have taken place between the stage and the causeway,” he said. Marshmello is closing out day 1 of Ultra Music Festival 2019 and you don’t want to miss it! There’s no denying this high profile DJ/producer is on top of his game and this is most definitely his year. Just yesterday, Marshmello took the #1 spot on Billboard’s 100 Artists of 2019 list. His in-game concert during Fortnite brought in well over 10 million players. Tonight, he has a lot to live up to as millions more watch his headlining appearance at Ultra Miami. Where there’s Marshmello, there’s usually surprise appearances from his long list of superstar collaborators. Keep an eye out for special guests as he shuts down the main stage. Dog Blood are about to take over Ultra Music Festival for a performance you don’t want to miss! Tonight, they top it all off with a main stage appearance at Ultra Miami. If you’ve seen Dog Blood live, then you already know we’re in for a show. If you haven’t, buckle up because it’s going to be a ride. The time has come. deadmau5 is about to introduce his cube v3 and an entire tour to go with it. The formal announcement details the entire North American tour coming this Fall. First up, deadmau5 is set to debut his new cube v3 production at Ultra Music Festival this Saturday, March 30th. Make sure to tune in with us, as we see his latest vision come to life for the very first time. Still, the best is yet to come. The 16-city tour kicks off September 12 in Dallas and will see the producer’s brand new cube v3 production in other major markets including Los Angeles, Chicago, New York, and more. cube v3 is undoubtedly the most complex production ever presented by deadmau5. The new cube is able to switch positions from 90 degrees into 45 degrees and rotate 360 degrees. As always, it features mind-bending visual content from deadmau5 and his custom touch designer system. Tickets go on sale to the general public beginning Friday, April 5 at 10am local time via Live Nation. Fans can register now through Monday, April 1 at 10pm ET here for the Verified Fan presale. Watch below and see the full list of tour dates via cubev3.com. Rising-Vegas based producer Versus just teamed up with Lo’did for their collaboration ‘Once Again’ on Dj Chuckie’s Dirty Dutch imprint record label. ‘Once Again’ takes festival music to a new height. Versus and Lo’did combine the worlds of dutch house and bounce music in “Once Again,” producing a record that is sure to be heard across festival stages and small clubs all over the world. The record is so groovy that it is sure to get people on their feet wherever they hear it, its irresistible. Stream “Once Again” by Versus & Lo’did below. Your favorite cup noodle brand just upped its game and teased a phenomenal new product that we absolutely need. In partnership with HyperX, Nissin is releasing a limited edition pair of cup noodle headphones (pictured above). 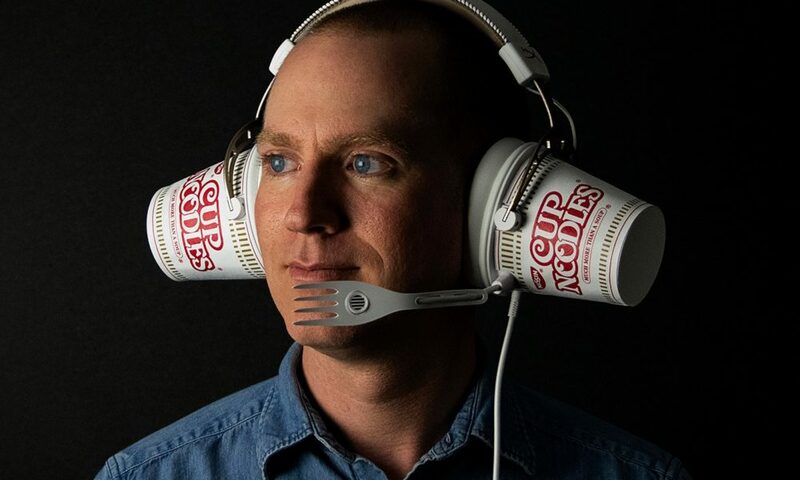 Obviously to be used more as a talking point than as actual everyday headphones, the design is definitely killer and makes real use of the cup noodle aesthetic. 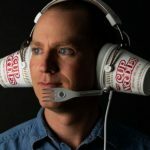 Two classic Nissin noodle cups will take the place of the generic headphone pads, and they even come with a microphone dubbed the ‘microphork,’ which seems to have a special function. The big joke is that these headphones, called the HyperX Cup MIX-Ins, will actually go on sale on April 1. You can find out more about these headphones on the official Nissin Fan merch store when it drops. Everyone took notice of the Ultra set times via the app when it was revealed that none other than KFC founder Colonel Sanders was set to perform on the main stage. It’s easily one of the strangest bookings we’ve ever seen, and we have a lot of questions. Miami Music Week is kicking off and the impending marathon that is Ultra is coming in hot. With that in mind take a look at this fresh track from Doorly’s Reptile Dysfunction Sampler that’s been put together in honor of the annual event. The track, Game Plan is a collab between Roukin and Hobbs, and sets the tone for what’s sure to be an amazing weekend. It’s a an easy blend of g-funk, synth-pop and house, and gives you a warm reminder of good times in Ibiza. In fact, the track itself was inspired by the glow of the island and that magic transition from day into night. Other hot new artists in Doorly’s Sampler include El Provost, Colour Castle, Rick Wade, Olivia Dawn, Thackson, Josh Newsham, SEVADER, and Mike Woods. In addition to the curation, Doorly himself adds some beats to the collection as well. Ultra is officially open and the stages are playing, but not all that glitters is gold. An hour ago, Jai Wolf revealed that he’s been forced to pull out of the festival due to “unforeseen logistical issues.” It’s unclear if these issues have to do with his stage or something else entirely, but that’s the long and short of it. Jai Wolf was scheduled to play at UMF Radio for the Foreign Family Collective takeover tonight at 11:15 PM. This makes the second cancellation for the festival, whether for health or other reasons. Eric Prydz was forced to withdraw from all Miami appearances earlier this week due to health concerns. In addition, the main stage went dark as power completely went out around 3 PM local time as Dzeko was scheduled to take the stage. Power was out for approximately 20 minutes. Not the best start for the festival, overall. It’s not all bad news, however. Jai Wolf just dropped the last single from his forthcoming album The Cure To Loneliness before it drops in full next week. “Better Apart” featuring Dresage is out now. Skrillex and Boys Noize joined forces for an epic Dog Blood set last night. The Brownies & Lemonade hosted party in Miami also featured 1788-L b2b Blanke, A-Trak b2b Anna Lunoe and more. One particular ID from the night is a superstar collaboration between Dog Blood and Ty Dolla $ign. And hot damn — does it sound amazing. Ty Dolla’s smooth flow matched with a rhythmic house drop is exactly what we’re living for in 2019. Brownies & Lemonade was there to capture the moment (obviously, it was their party) — so luckily we can replay this moment over and over again. See another view here. Dog Blood just put out new music today, their first new single since 2013. There’s no telling if and when this one with Ty Dolla $ign will get an official release, but it sounds like a sure hit. Dog Blood x Ty Dolla $ign sounds AMAZING! It’s getting really hard to predict what The Chainsmokers are going to do next, and that’s working entirely in their favor. After putting out a lackluster debut album, they brought it back with Sick Boy, using intelligent lyrics and mixing in a diverse array of pop and EDM. Now, the group is dropping singles from its third album World War Joy and it’s pretty damn pop so far. The Chainsmokers dropped a new song today called “Kills You Slowly” that plays like a mumble rappers attempt at a ballad, at least as far as rhythm goes. The subtle melody and in-your-face 808 snares in the chorus also help to add to that effect. Overall, it’s absolutely one of the slowest and most stripped down songs that The Chainsmokers have ever put out. There’s no grand production or crazy effects to mask any shortcomings in the song, and there are a couple. But there’s no way to deny that this group is forging its own path in the pop/EDM crossover sphere and they’re succeeding. The Chainsmokers will close out Ultra Music Festival this Sunday, March 31, at 12:30 PM EDT. Listen to “Kill You Slowly” below. Starting a music career at any age is a daunting task, but 23-year-old Mielo is channeling his fears and insecurities into melodies and passion on his debut EP, Anywhere But Here, out today. Spanning three beautiful tracks, and a wonderful intro, the EP isn’t shy in its use of lush soundscapes and delicate synths. Vocal accompaniments from Sarah De Warren, Cailee Rae, and Tori Letzler only add to the wonderment behind each and every track. The EP never really strays from its central sound, a sort of noticeable melancholy. However, the final song and the title track of the EP, “Anywhere But Here,” takes a stark turn and finishes off the project on a hopeful note. It’s clear from the EP itself and from Mielo’s brisk honesty that this is a good thing for him. Listen to Anywhere But Here bellow. It’s been six years since Skrillex and Boys Noize released music together as Dog Blood. They’re finally back with an energetic new single that’s perfect in every possible way. The duo spawned two EPs over 2012 and 2013, with tracks including “Next Order,” “Middle Finger,” and the especially savage “Shred Or Die.” Their new one, “Turn Off The Lights,” feels lighter at surface level, but it remains true to what we’ve come to expect of the Dog Blood project. A classic rave-worthy build, mad drum rhythms, and catchy vocal chops make the new Dog Blood single easily digestible for the average ear — but just wait for that heavy, stuttered breakdown at 2:52. It’s fleeting for sure, but just enough to give Dog Blood diehards exactly what they want. The duo recently played Buku Music + Arts Festival together, uniting as Dog Blood. See the footage from their high-octane performance here. They played last night at the Brownies & Lemonade show in Miami, and they’ll play again tonight at Ultra Music Festival on the WorldWide stage at 11:30 PM EDT. “Turn Off The Lights” is out now via OWSLA / Boysnoize Records. It really can’t be understated the influence Droptek has had on drum and bass and even bass music as a whole over the last seven years or so but somehow it kind of does get understated. This is possibly because Droptek himself is a pretty private and humble guy and maybe doesn’t even know his own skill, which is easily on par with other reclusive greats like Current Value and Misanthrop. He also likes to take large breaks, of which the past year or so has been one. With the exception of a track on Korsakov’s compilation album last year, Droptek hasn’t released since his Fracments EP with Monstercat. All of that’s about to change. It’s a very good thing, it seems, that Droptek hooked up with Korsakov to release his track “OK” on last year’s The Kosrakov Compilations vol. 1 because it precipitated the Symbiosis LP into being. Due out April 9, it will be yet another game-changer from Droptek. Korsakov knows it, Your EDM know it, and now the bass music community at large are about to feel it. Symbiosis opens with a short intro track “The Expanse” which is meant to immerse the listener to all the mad synth sounds, mods and distortions that are to come on this LP. From there it launches into pure bass music perfection. We say bass music because it’s not all DnB; this is a true crossover album with halftime, DnB, dubstep and even some subtle riddim all present and accounted for. It’s heavy, hard and synthy right the way through but with lots of variance and even some really beautiful melodies. One such beautiful melody is contained within our premiere for today, “Extrapolate.” This short song has a clean, basic DnB beat with equally clean snares but the melodic work on the synths is really what makes this track a heart-stomper as well as a chin-scratcher. The main melody sees something standard in DnB elevated to sublime levels: a beautiful melody composed with crunchy, metallic-sounding neuro-tinged synths will created an emotion in the listener they didn’t even know existed. We all know that synth; it’s usually done in low registers in neuro and hard/techy tracks to get those jaws clenching and aggressive skanks happening on the dancefloor but what happens when they’re pitched up and used to make something more musical? Droptek’s managed to “Extrapolate” the answer, and it’s breathtaking. Something that’s always really striking with Droptek’s work – and it’s why he does have such influence over DnB sound whenever he drops a release – is the razor sharp and squeaky clean sound design and engineering in every track. In the face of so much distortion, crunchy synths and brain-scrambling phrase transitions, the quality of every bit of a track is always spot on. Nothing is left hanging or, to say it another way, it seems like no piece of his work was sacrificed for the sake of another piece. All the parts of each song work in perfect Symbiosis. Symbiosis is a must, must, must cop and is due out on Korsakov April 9th. Pre-order link here. Miami Music Week is in full swing and there’s so many parties to hit up that it’s almost a problem. Somewhere, last night, in a darkened club — Boys Noize, Craze, Wax Motif, What So Not and Skrillex went back to back. Before you catch too much fomo, just know there’s some footage out there. Unfortunately, the best and only video we’ve seen is only 8 seconds long. At the same time, it’s all the proof we need that this happened and it was glorious. Skrillex and What So Not have collaborated on tracks “Goh” and “Waiting” and whenever they work together it’s all ears and eyes on them. According to the source, they threw down a lot of music from The Prodigy and it was a mood. Just watch. P.S. Check back here tomorrow to hear that new new from Skrillex and Boys Noize aka Dog Blood. Pink has come down with the EDM bug. The pop star just shared the track list for her upcoming album Hurts 2B Human, and a collaboration with Cash Cash caught our attention immediately. The dynamic trio is all about superstar collabs. They’ve previously worked with Bebe Rexha, Conor Maynard, Dashboard Confessional, Busta Rhymes, Rozes and many more, you name it. However, Pink is undoubtedly the biggest artist they’ve teamed up with thus far. Pink is all over the map with her forthcoming release. A collaboration with Chris Stapleton tells us she also has the country bug. Wrabel and Khalid are also listed as features on the album. Hurts 2B Human drops April 26th via RCA Records. It’s been six years since the cell-shaded, open world, massively multiplayer online RPG game Borderlands 2 was released, and game developer Gearbox just dropped the first official trailer for its rightful sequel, Borderlands 3. The second numbered game in the series spawned a variety of additional content, including “expansions, spinoff games, a VR port, an adventure game, and compilations,” as summarized by Polygon. However, this new game promises to be a massive leap forward in the game’s anthology, as much as Polygon writer Ben Kuchera disagrees. Better yet, watching the trailer offers up a bit of nuance in the music accompanying it. Is it a bird? Is it a plane? No, it’s Griz’s song “Can’t Hold Me Down” featuring Tash Neal. Video games and other brands are no strangers to using EDM tracks for their ads, but it’s still always nice to hear a recognizable track when it happens. Gearbox promises more Borderlands 3 news on April 3, so if the trailer below doesn’t appease you — or Mr. Kuchera — there’s still more to look forward to. Coachella is coming up in just two weeks for weekend one, then three weeks for weekend two. Coachella itself is a weekend full of amazing music, vistas and people, but for those looking for the best hotel parties: Day Club has you covered. Day Club has announced its full lineups for its events at the Hilton Palm Springs during Coachella. As usual, they’re filled with intimate sets from Coachella artists. Plus, some appearances from artists who aren’t on the Coachella lineup. Weekend one has Nora En Pure Presents Purefied, Rose Avenue Records Presents and Sound Presents. Nora En Pure‘s lineup includes Amtrac, Dennis Ferrer and the legendary Pete Tong. Rose Avenue Records founders RÜFÜS DU SOL will play a rare DJ set for their event. In addition, they’ll bring along Cassian and other labelmates. Finally, Sound packs in the deepest talent of all the events, including CamelPhat, Kölsch, Walker & Royce and even a b2b between Nicole Moudaber and Dubfire. Weekend two spices things up with Diplo & Friends, Dillon Francis & Friends and Jauz Presents Off the Deep End. Diplo’s friends will include Gorgon City, Nitti Gritti and a special guest. Next up, Dillon Francis will be joined by Nitti Gritti, Born Dirty and more. Jauz rounds things out with Ookay, Jack Beats and more. For those interested, you’re in luck: single day and weekend passes are available now. Head over to the Day Club site to buy your tickets now. Soon, look out for a special collaboration between Day Club and Your EDM. Keep your eyes peeled!